OSWEGO, N.Y. — The Haynes family, supporters of the Oswego Speedway Pathfinder Bank SBS division for more than a decade, has made plans to re-energize their family-owned operation and presence in the division with a driver swap, of sorts, ahead of the upcoming season. After spending the past two years driving part time, Brad Haynes will take over the role as driver of the family owned No. 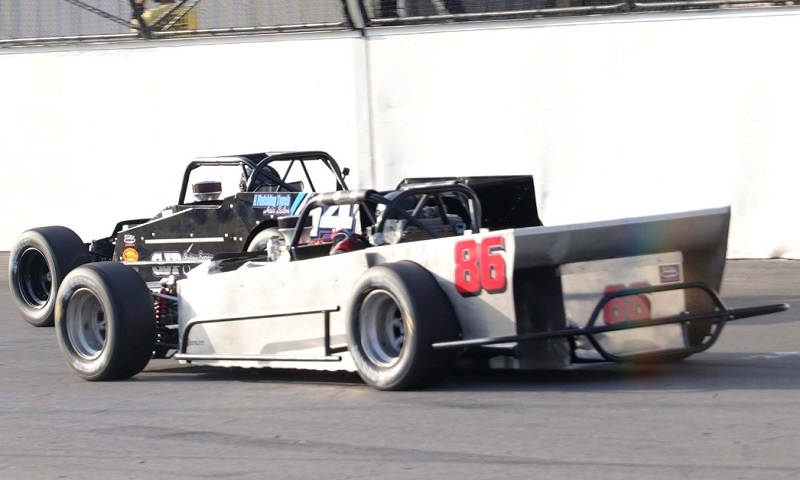 86 Nichols Chassis on a regular basis, beginning with the speedway’s 68th annual season opener on May 26. Meanwhile, brother Bryan Haynes is looking to move into the Ron Pratt-owned No. 88 machine — which Brad Haynes piloted to a top-five finish last season — for selected races this year after wheeling the family car in 2017. Ironically, the Pratt No. 88 is the same car that Bryan Haynes won the Bud Light SBS Classic with three years ago. Brad Haynes has been an on and off Oswego competitor since 2006. In 2010, he landed his first SBS ride with longtime friend Pitt Watson, while also qualifying for his first career SBS Classic that same season. He repeated that accomplishment in the family owned No. 86 a year later, while Bryan was busy scoring a ride Teddneck Racing No. 37. It was just a year after that when the Haynes team acquired a Hedger car from Barry Kingsley. Following a solid run in the 2012 Classic with the other family car, then numbered 88, Brad then decided he wanted to help his brother and also focus on his kids.